Everyone loves indulging in a cold treat on a hot day—even your dog! …aren’t a healthy or safe option for your pup. Not to mention, if your dog is obese, those fat and sugar-filled treats could contribute to major health issues for your pup. So what kind of cool treat can you spoil your dog with this summer? I personally recommend homemade dog popsicles. Not only are they easy to make and cheap, but they are also safe and packed with nutritious ingredients that are actually good for your dog—in moderation of course! Pumpkin is a food that is really healthy for dogs to consume. Natural oils that improve urinary health. This summer, skip the processed dog ice cream you can find in the grocery store and whip your pup up this healthy treat instead. Check out how it’s made…it’s so simple!!! Mix equal parts pumpkin puree with plain yogurt in a bowl. Place mixture in an ice cube tray or popsicle mold. The best part…they are completely safe for dogs to eat. That’s why I recommend this blueberry dog popsicle. Made with plain yogurt (which is also good for your dog’s digestive system) and fresh blueberries, this is a refreshing treat you can feed your dog without any guilt! 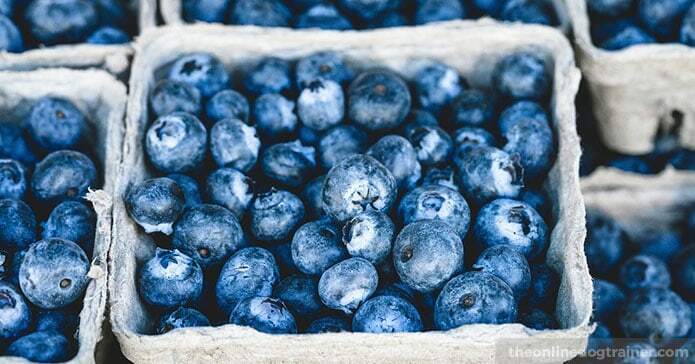 Place ½ cup blueberries in a bowl and gently crush them. Add ½ cup plain yogurt into the bowl with the crushed blueberries. Scoop the mixture into an ice cube tray or popsicle mold. And my ultimate, #1 favorite dog popsicle is…. Okay now, I know it may not be your idea of the dream dessert, but for your dog it’s the best! Peel all the meaty scraps off a leftover chicken. If you don’t have a leftover chicken carcass to pick from, that’s ok. Cook up a chicken breast to use! Fill ice cube tray or popsicle mold with chicken broth. Throw some chicken meat into each mold. Be sure there are NO bones in the scraps you are using. Freeze and then serve to your pup! All of these recipes are safe, natural frozen treat options that I highly recommend trying out this summer. Check to make sure your dog doesn’t have a dairy allergy. While yogurt is safe for most dogs, it’s possible your pup could have a sensitivity to it. Test it out by giving your pup a spoonful of it to see how he reacts. The same rule goes for the blueberries and pumpkin puree. These two foods are normally 100% safe for animal consumption. However, if you’ve never fed your dog these food items before, introduce them in a small quantity just to be safe. It never hurts to ask your vet before giving your dogs a new food. If you have any worries, ring up your vet’s office. The vet or vet techs should be able to say “yes” or “no” to these recipes depending on your dog’s unique needs. We already mentioned it, but for safety, we’ll remind you once more. Never include chicken bones in the chicken pops. Purchase plain pumpkin puree, NOT pumpkin pie filling. Moderation is key. All of these recipes are safe and natural; however, they all do contain calories. It’s not a good idea to overfeed your pet anything. One pop a week or for special occasions should be more than enough. If your dog is overweight, consult your vet before feeding him these treats. Between swimming, trips to the beach, and long walks with your dog, the summer months are a lot of fun! However, summertime can also be dangerous for animals—especially regarding the heat. For your pet’s safety, I’ve put together a complimentary list of things you can do to keep your dog safe, happy, and cool this summer. Print it out, tack it to your bulletin board, and use it to ensure your dog stays safe this summer.